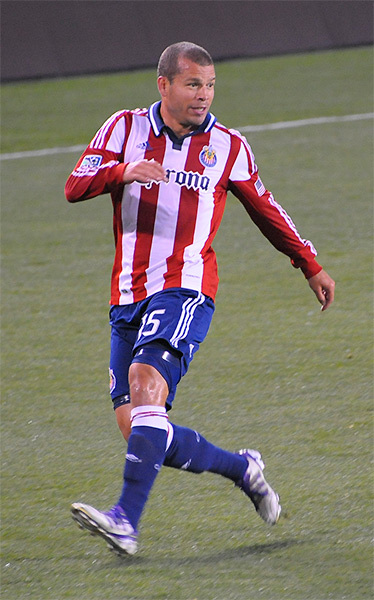 After the Danny Califf trade went down, fans quickly realized that they wouldn’t be seeing him anytime soon since the Union don’t play Chivas at home this year. 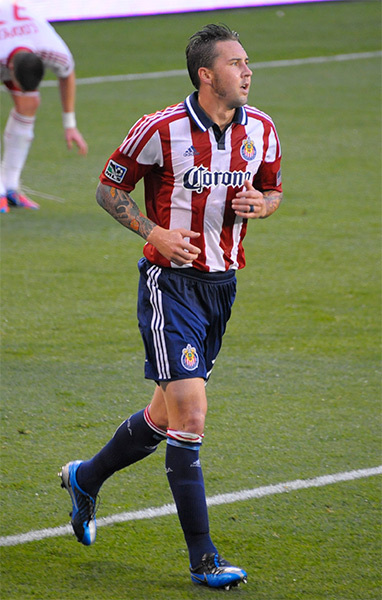 Interestingly enough, Chivas were set to play the Pink Cows in Harrison, NJ shortly after the trade. A group of fans (including myself) made the decision to head up the Turnpike and go undercover into the Bedpan to show support for the Union’s former captain. Tickets were easily secured in the 4th row behind goal for $23 two days before the match. We could have secured about 14, 000 tickets, but trying to find that many people wanting to go the Red Bull Arena is nearly an impossible feat even with $10 parking. Once the group arrived in Harrison, a sense of filth was felt amongst everyone. Sure, it was nothing that some bleach and a shower couldn’t take care of, but being in enemy territory with the Union nowhere in sight was a strange feeling. While it was a hassle-free experience, we were given some odd looks when one person in the group expressed how she really felt about Kenny Cooper and when we didn’t stand up and cheer for the Red Bulls’ lone goal in the 1–1 draw. 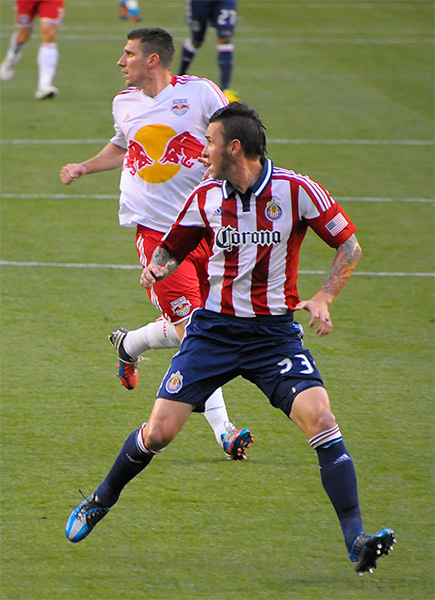 It was great to see a miraculously healthy Danny Califf get another start with Chivas — he spent most of the night marking Thierry Henry and put in a solid performance — just not so great to see him Chivas colors. After the match, he was scanning the crowd and eventually saw us and our “Bearfight Legend” sign. He first stopped by to say hello to his wife Erin and then made his way over to say hello to his faithful Union fans. Happy to see us, he took the time to sign some autographs and take some pictures. He had a smile on his face and was very appreciative of everyone taking the time to come up and support him. There’s been a lot of discussion on loyalty in the last couple of weeks. Are you loyal to the team if you boo Peter Nowak during the intros at PPL Park? 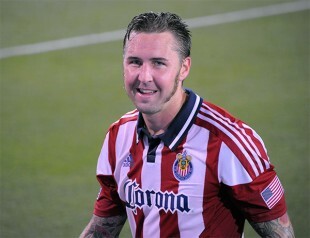 Are you loyal to the team by going to Red Bull Arena to support Danny while he plays with Chivas? I guess everyone has their reasons, be they good or bad. For myself, I will always be loyal to my boys in blue. But I also won’t forget the people who gave their all and helped build something we all love. Showing up to support a player who has given so much to the team and its fans is something I will never shy away from. Never an empty seat in the Bedpan. Want to buy a bridge? Danny Califf keeps on eye the ball as Kenny Cooper comes up from behind. Red Bull fans make their feelings known about Angel and Agudelo’s departures. Danny gets in position for a set piece. Danny congratulates Juan Pablo Angel on his goal. Captain Bearfight makes his way over to his fans. Danny catches a moment with his wife, Erin. Always happy to sign some stuff and chat, Danny takes the time out to say hello and show his thanks. I think this is pretty cool. Califf has always and will always be a class act. Thanks for the write-up and pics, as always. I think there’s a difference in terms of loyalty. Yes, I think you can be loyal by booing Nowak because you care about the TEAM as a whole. I think you can be loyal by going to the Bedpan and rooting for Danny Califf. I see no problems with that. What I WON’T do though is have Chivas USA come into PPL and for us to do a TIFO display in honor of Danny Califf (Like RB fans did for JPA). Don’t get me wrong I love Danny Califf, he’ll forever be a Union legend, but one it comes gametime there’s only one team on my mind and that’s the Union and our players on the field, and going for the W.
A little love pre/post game for a Union alum is about as far as I’d go. Union Legend??? (cringe)…. must be desperate for a legend… just handing it out to nice guys at this point. You kind of have too when Nowak trades the player the fans relate too. Now take Zak if by some chance He stays with the UNION for say 5 or more years I think he would become a Legend in Philly. But Nowak trades has trade away almost all of the 1st team players that help grow the club the two biggest Le Toux and Califf. The Union sell out games via tickets but when you look into the stands there are alot of empty seats. I watched the 1st game in portland pouring down rain in what looked like sheets and the stands were full.If there a hint of bad weather PPL looks like a grave yard. Other then the SOB. Its fine to boo nowak. Its fine to boo the team if they are playing crap. Its one thing to loose but another to play badly. Its a soccer team you are not committing treason. Its entertainment ultimately. Finally just because you critisize does not mean you hate it. Sometimes one needs to rebel to effect meaningful change. No matter how arrogant or incompetent the front office is, it’s stuff like this that makes being a Union fan so special. Great initiative, story and pictures! Incredible how empty the sradium is. Will PPL be like this in 1-2 years if the FO continues like they do? Well done.. goes to show that the only classless act is nowak and the clowns in the F/O. Nice piece, Earl. Well-written and well-thought out, unlike many of the attitudes of Union fans. They’re going to be eating their words in a few weeks. Keep hating haters and you’ll finally get to see what whiney C U Next Tuesdays you are. Great story. I’m hopeful that one day Danny will once again be apart of the Union.